What does the customer job preview look like? A text notification is sent when 'schedule,' 'on-my-way,' and 'finish' are pressed for a job. This notification includes a link to a customer job preview that the customer can click on to view the details of the job. 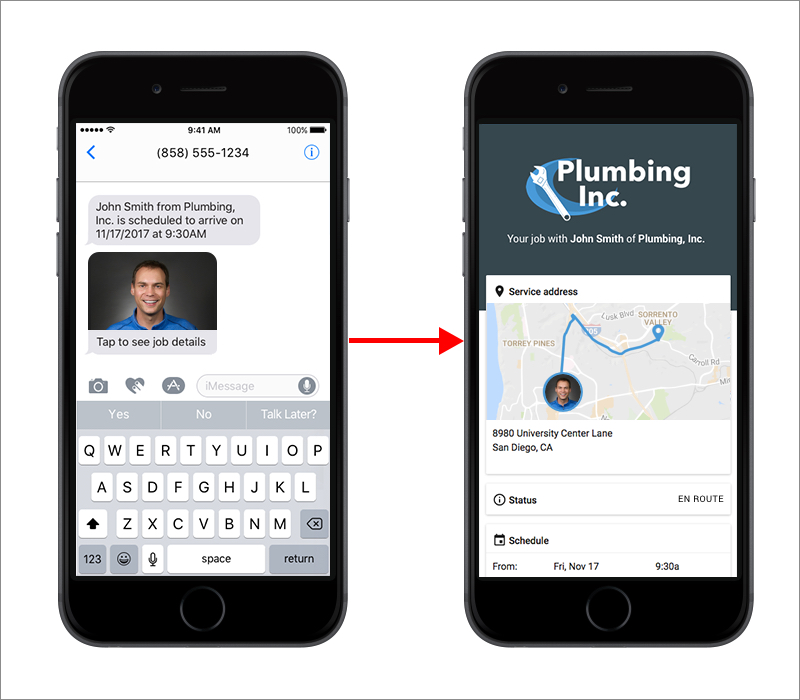 This preview includes the service address, the job status, the time the job is scheduled, the line items, and a contact card for the customer to text, call, or email you. PRO TIP: Your customers will see the pictures you have in your employee settings, so have a photo shoot day and get your headshots uploaded!